Meet sweet Archie. 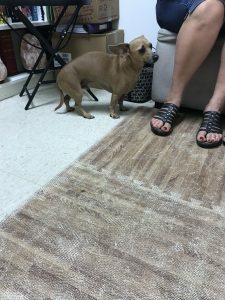 He is a senior dachshund that lost the use of his back legs thanks to a disc injury for the second time this past winter. The first time this occurred was one year ago, and with cage rest and medication, Archie was able to re-gain function in his back end. We suspect the first injury was a disc bulge secondary to IVDD. 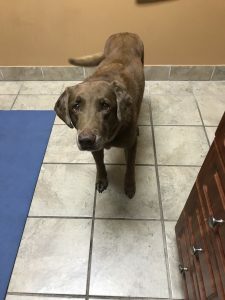 This year when it happened, his mom was worried because it appeared much worse and was likely a ruptured disc as opposed to just a bulging one. It was worse than last time and she didn’t see much change with just medication. She contacted us right away and decided to do chiropractic with him. At his first visit Archie had only a mild deep pain response in his back legs and had no movement at all. His muscle tone was like jello, he had no bowel and bladder control, and his back was incredibly hunched up. His mom had to bring Archie in using a laundry basket. It was heartbreaking to watch, especially as this little guy did everything he could to try and get around. He wasn’t showing any signs of pain, just confusion as to why he couldn’t move! Archie was patient as was his mom. She followed our instructions to a T, she used all the tools we gave her and did so religiously. It was 7 adjustments later when Archie came in on his own accord, without a laundry basket, and on a leash. We nearly cried. It had been two and a half months since Archie’s first visit and each time he showed slight bits of progress. His mom never gave up and she entrusted us with the care of her beautiful boy. While Archie may have IVDD, he is moving beautifully, he has tons of energy, and he has never let his ruptured disc bring him down. Check out his before and after videos below! Meet Holly. 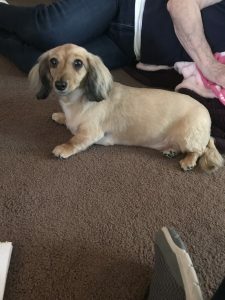 She is a 5 year old Dachshund who woke up one day and couldn’t use her back legs thanks to a bad disc. Naturally, her mother was frantic and immediately took her to the vet. 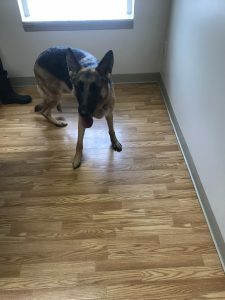 The vet was not optimistic about her recovery and told the owner that she may want to consider putting her down if she doesn’t start using her rear legs within 48 hours. 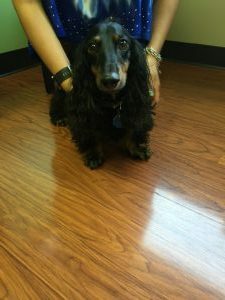 The vet recommended a trip to the neurologist and surgery as the only option to alleviate her intervertebral disc disease (IVDD). Her mom couldn’t afford the recommended surgical route and went to google to find an alternative solution. Fortunately, she found us! She called, and we immediately gave her a few tips to help slow the inflammation and secondary damage that results from a disc bulge. We also gave her a few rehab exercises to stimulate the injured nerves until we could arrive the next day. When we showed up, she was starting to use her back legs again! Sure, they weren’t working optimally but we knew with some care and rehab she should return close to 100% of her previous self. Say hello to Belle. She is a beautiful 13 year old doberman that has been an incredibly healthy girl. Out of the blue, Belle began to walk drunkenly one weekend. It progressed rapidly to the point where she could barely walk at all, was dragging her legs, and not wanting to eat. The vet gave her dad some doggy aspirin and said the next step would be a trip to the neurologist. Now Belle’s dad would do anything for her, but he was concerned that he would be told she’d need invasive surgery and he knew that wasn’t an option for his girl. So his own mom recommended he come see us. Belle was not wanting to weight bear on her back left leg much when she came in. Her head hung low and she was terribly stiff. Any fluidity to her movements were gone and we could tell she was in some pain. 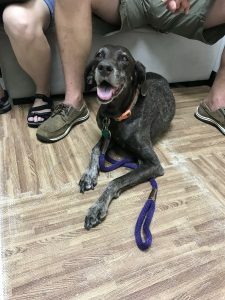 Her front paws had begun to knuckle under and we were worried that these neurological symptoms would keep getting worse. After her very first adjustment Belle walked out of the room a little steadier and her gait looked mildly improved. 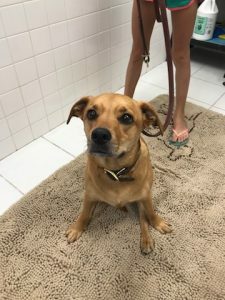 Upon her recheck later that week, Belle walked in on slippery tile and didn’t fall once. Her stability was better and she was holding her head up high. By her third visit just one week later Belle came bouncing into the office without a care in the world. This girl was moving like a rockstar, without an ounce of stiffness notable. Her dad tells us she is almost 100% and is doing even better than he had ever imagined. She’s on joint supplementation to help maintain her progress and we will check in on her to make sure she stays up to snuff. 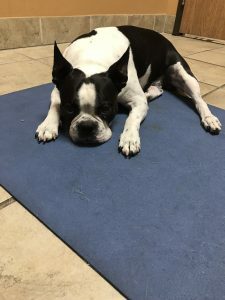 Belle had pressure being placed on her spinal cord, and once that pressure was removed it was as if she were a new dog. Yay Belle! Take a moment to meet Princeton. This handsome fellow was diagnosed with a disc problem that suddenly came out of nowhere. He began dragging his back leg and his parents feared it wouldn’t be long before he was partially paralyzed. They were told the options were surgery, a cart, and possible euthanasia. Princeton’s parents knew there had to be another option so instead they elected to try alternative care first. At Princeton’s first visit we could see how much he was struggling with his one hind leg. It was knuckled under and dragging, he didn’t have much feeling in his back end, and we were concerned he may lose bowel and bladder control. He did, however, manage to wag his tail which was an incredibly good sign. It looked as though Princeton had the beginning stages of a disc bulge that if left alone could lead to a ruptured disc. Princeton was adjusted three times in two weeks and then once a week for the next couple of visits. By the second visit Princeton was already showing signs of improvement. He was resisting during his exercises and the feeling in his back leg appeared to be coming back. By his third visit Princeton had begun to lift his one leg up and attempt to use it. By his third week of treatments Princeton was actually utilizing the dragging leg. After a total of six visits, Princeton was back to himself. He is able to run and jump and his back leg no longer drags. His back moves beautifully and he continues to get regular chiropractic care just to maintain his mobility in his spine! Watch below to see his before and after video!